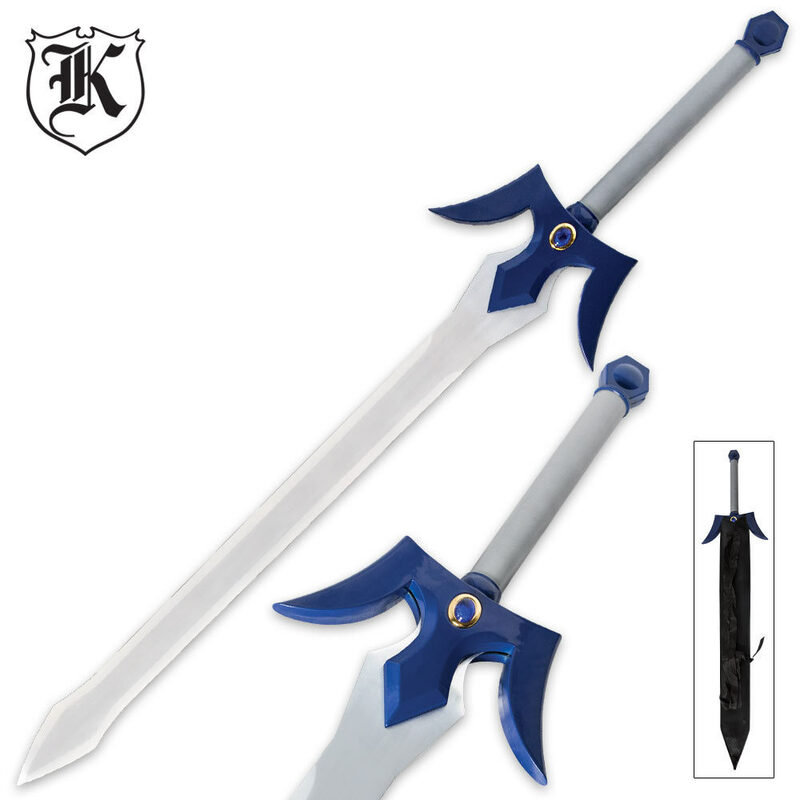 The Royal Blue Fantasy Anime Sword is a must-have if you are an anime fan because it really gives you the look and feel of an actual weapon. 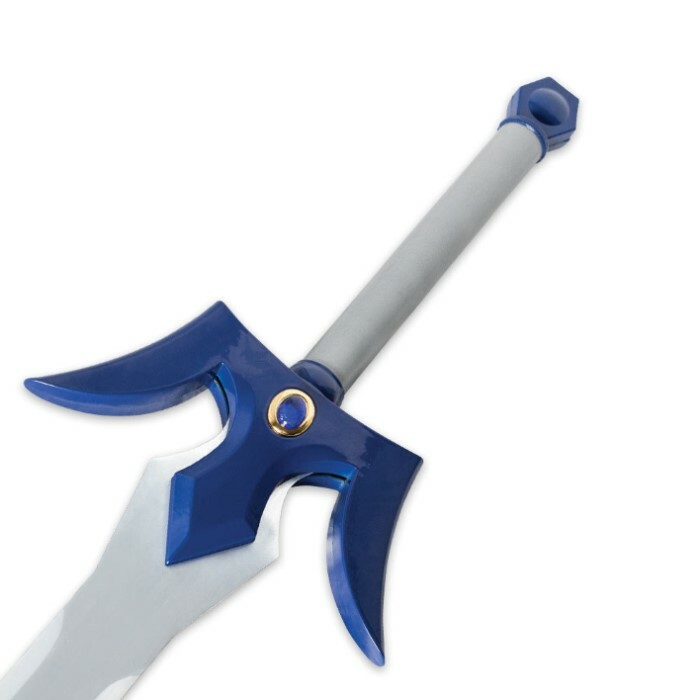 There is no doubt, that you will get noticed at your next cosplay event with this beautifully royal blue, painted 41.5 in. sword slung across your back. It is accented with faux jewels and gold accents to complete its quality, authentic look. A pleather scabbard completes the package. 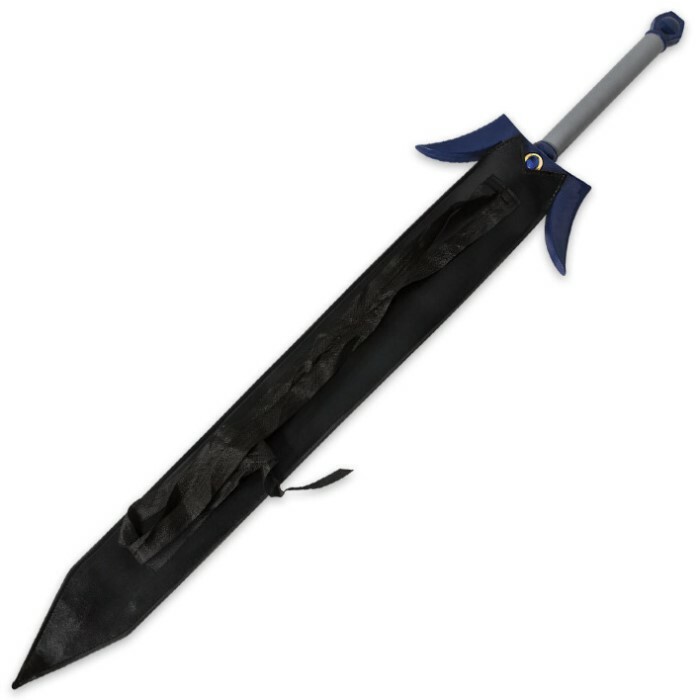 This is the third sword I've purchased. I got it a couple of months ago. I like the weight of it. The only downside is that the scabard isn't made of wood just leather. Still if you want you can strap it on. Hopefully Trueswords will sell wooden scabards to with the SAO swords.